Having been an interior designer for over 30 years, of course I had many ideas about a renovation for our existing home. Our main request was that additions appear to be part of the original construction. When we met with the Letlow Co., Les Letlow assured us that this could be accomplished. After several meetings between February and April, construction finally began. We found the entire crew of the Letlow Co. to be competent, creative, and above all, courteous. After months of working with them, it actually felt as if they were family, and I am sure we will keep in touch frequently. The renovation itself is spectacular, and I am not one to use superlatives. It is even better than we expected. Our dreams for a “forever” home have been realized, and we look forward to many happy years in a home that suits our needs. Thank you, Letlow Co.
TLC Design/Build is in the midst of a third project for me. The first was an award winning full kitchen remodel that took me from a small dark galley kitchen to a wide open gathering space. They recently finished a beautiful master bath, and is currently doing a complete exterior makeover. Les Letlow’s work is very high quality, and when you are told something will be done, it is done. Everyone who works with the company, from painters to sheet rock guys to cabinet makers, to his own supervisors are the best! For unique design concepts executed with outstanding quality, and good people to work with, I highly recommend TLC Design/Build. I was very pleased with all the services! Letlow Construction went above and beyond to do a complete remodel of my house! Everyone was professional and friendly and completed the job in a timely manner! I highly recommend their services to everyone! Record Time and Under Budget! This is s great company! My most recent project was a update/remodeling of my kitchen. I contact Mr. Letlow, made appointment to meet with him to share ideas on what I wanted. Mr. Letlow showed up with cabinet samples, computer and his ideas for my kitchen. He had thought of everything, lighting, appliances, etc. Suggestions on what appliances, light fixtures that would highlight the kitchen. I already had a few ideas of my own, which he implemented into the plans. To make a long story short, the kitchen was completed in record time, under my budget and the nicest people (workman) you want in your home. Mr. Letlow stands behind his work; you want quality work, beautiful results – he is your man. I now have a beautiful, updated kitchen that I’m proud of and love to show off. The Letlow Co. has a great reputation and now by experience, I know why. I This company was on time and within the estimated budget. Les Letlow designed our project. He was on the job, cooperative to work with and I would definitely recommend him to anyone as a professional in the construction business. The Letlow Company recently completed a redesign of our master suite, dining room, kitchen, powder room, pantry, and laundry room. Pre-planning and pre-ordering supplies were the keys to a timely completion of the project. The assistance of his site coordinator and designer were also important in ensuring the outcome. The results are beautiful and will be enjoyed by our family for years to come. Thank you Les for handling any situation or problem with a calm & professional manner. Everything turned out perfect! Les Letlow recently built a screened-in porch for me on an existing rock patio. He provided a drawing in advance so that I had a good concept of the finished product. Some constraints were encountered with building restrictions near property lines but he handled all the discussions with the City planners and offered alternate options from our original plans. Everything was handled professionally, efficiently and the quality was excellent. Les offered suggestions along the way and I am extremely pleased with the results. I would definitely recommend him to others. The Letlow Company’s direct employees and subs were always courteous and on time which is not common in this industry (at least the on time portion). Les has a unique gift to be able to see design solutions and effectively communicate them to the homeowner. He is very thorough and documents things well. He was on time and on budget. When we had descrepencies, Les was fair and willing to work with us to resolve the issues. I would highly recommend his services and would use him again if we had additional home improvement or new home construction needs. March 31, 2012 lightning stuck our house and started a fire that caused $300,000.00 worth of damage. With help from The Letlow Co. our house is now like new and we are so thankful to have hired this company. Les Letlow along with his staff of craftsmen are very professional people that build to very high standards. 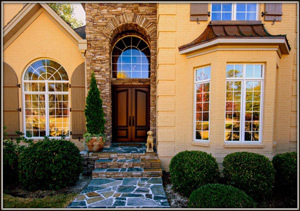 If you are looking for quality, The Letlow Company is your builder! We’ve Used for 28 Years. Great Vision. Les Letlow, with the Letlow Company, has completed several building projects for us over the past 28 years. He added a sunroom and remodeled the kitchen of our first home in 1986. Our expectations were met with great success and when we decided to build a new home in 1990, Les was obvious choice for our builder. He worked beautifully with our architect and was always attentive to our concerns and our ideas. 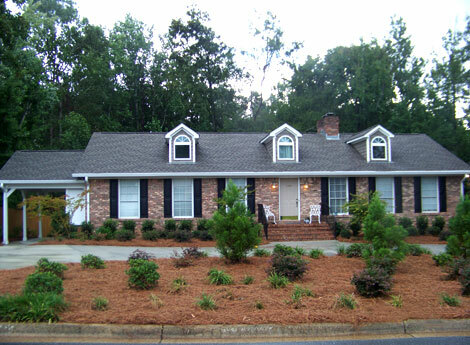 When we made an addition and remodel to that home a few years ago, again Les was our choice to complete the work. Les keeps currents with design trends, new innovations and materials, and is always a pleasure to work with. He has great vision for design, colors, and weaving the ideas and desires of the homeowner into a new home or a remodel project. Les expects superior workmanship from all of his employees as well as from the subcontractors who work with any project he undertakes. We recommend Les Letlow and the Letlow Company for any building or remodling project a homeowner or business may be considering. very easy and agreeable to work with. His open, warm personality made the inevitable stress of building a new home easier to deal with. I highly recommend Les and the Letlow Company. In the early 90s we discovered a hole in the side of our cottage at my wife’s farm. I met Les Letlow by accident in the driver’s license department in Opelika, and upon learning in my inquisitive manner that he was a building contractor I asked him if he would look at the hole and tell us what to do. My wife and I met Les a few days later at our farm and discussed the hole. My wife was so impressed with Les that before we parted she not only hired him to repair the hole, but to covert the houses screen porch into a sun room. The result exceeded our fondest expectations. Les is not only a good builder; he is an idea man that knows how to please my wife. If the wife is pleased what more can a husband want? When a November Tornado struck this year my first request was to find Les. Most of our huge live oaks in the front yard landed on our roof leaving substantial damage. I am 92 years old and was quite ill when he came on the job. I told him since my wife had died our children planned to sell the house when I died or went into a nursing home. I told him I could not make day to day decisions and that he had to treat this job as though I was his grandfather. The result is amazing. Friends and neighbors have praised the transformation and it was all done within the budget established by Auto Owners Insurance adjusters. I repeat, Les is not only a very competent builder but a man with excellent ideas. If you hire him, listen to him! 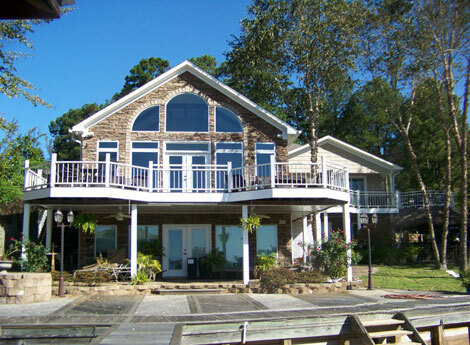 My husband and I contracted with The Letlow Company for a major renovation/addition at our lake house. We met with several contractors before choosing Les, and while he was not the least expensive estimate, it was clear that he was by far the most thorough in the details of his estimate, and there would be no surprises later in the project. 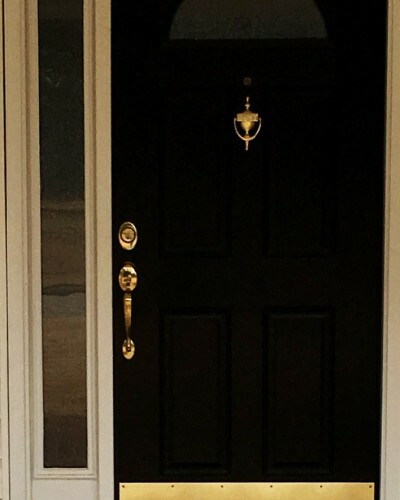 Our renovation included replacement of all windows and doors, all new stacked stone/vinyl shingles and trim on the exterior as well as the addition of a foyer, large garage and garage apartment. In the great room facing the lake, we totally redesigned the windows, and Les was extremely helpful in drawing out several ideas and options until we were happy with the final design. He also drew detailed elevations for the addition so that we could decide how it should look and never got frustrated when we asked for a change or another option. His vision and design talent was one of the most valuable assets to us in this project. Everything Les does is top quality and he stands behind his work. If there was ever anything I wasn’t totally happy with he never made excuses or tried to convince me it was right, he just fixed it right away and made sure I was satisfied. Even several months after the project was complete I had a small issue that I emailed him about on a Sunday morning. He called me right away and wanted to drive 30 minutes to the lake house, in the rain, on a Sunday, to resolve the issue! Our project came in under budget and was top quality. We couldn’t have made a better choice in a contractor and are very happy with the end result. Les was a joy to work with, and I don’t think you could find a more honest or ethical contractor who is more committed to quality work and customer satisfaction. Les Letlow recently completed a major renovation on my home. It is my pleasure to recommend him and his company to anyone contemplating a renovation or a building project. I can truthfully say that every detail, from design to final execution of the project, met and exceeded expectations! The vendors and local shops that Les recommended to me to choose products and materials were extremely helpful and cooperative. The workmen on each “team” or section of the project arrived in a timely manner and completed their tasks in a professional and competent way. All adjustments or necessary touch ups were usually noticed by Les or the job foreman before I had time to notice, and they were immediately fixed. The financial arrangements and contract were handled in a clear, and precise manner, details of permits and inspections were handled professionally and promptly, and I am and remain a very happy and satisfied customer. All I can say is that the addition you did for me turned out better than either Nancy or I expected. It has made such a huge difference in the appearance of the house and will make the use of the porch and pool area so much more enjoyable. I would and will recommend you to everyone I know who is looking to have any type of construction work done at their residence. I would like to take this opportunity to thank you and your entire staff for making my journey of rebuilding my house a worry free period of time. You all have been so helpful and informative in every way possible. You have answered all of my questions with ease and directed me accordingly. The house looks great and I appreciate all of you and your staff’s hard work and determination to do an exceptional job for me. You made sure you stayed on top of things accordingly. You have a great staff, and they take their job seriously and in great detail. I am very pleased with the job completed by your company and staff. I will highly recommend your company to anyone with great pride. Thank you so much for making my transition as easy and timely as possible. The Letlow Company is a one of a kind company committed to the highest quality work, professional business practices, and outstanding customer service. In the fall of 2011, we decided we needed to do some major renovations to our home. After some searching, we decided on The Letlow Company. I will say it was one of the best decisions we have ever made in our lives. The whole idea of “gutting” our home and remodeling our kitchen, guest bath, master bedroom, and master bath was totally overwhelming to us. Especially since neither of us has any experience or talent to visualize what we wanted in the final product to look like. Les spent many hours with us walking through the house and discussing various ideas and designs. Once we finally decided on the final design, Les made the process smooth and easy. His recommendations for other local professionals for flooring, countertops, cabinets, lighting, and accessories were great. They were just as helpful and professional as Les. The work began on October 1, 2012. We turned our entire home over to Les and the care of his professional staff. I must admit, that part was somewhat nerve racking because as I said earlier, my husband and I had never ventured into a project like this before. While we had grown to trust and respect Les, we still were not sure of what to expect once the work began. Well, I must say it went great! The attention to detail, professionalism, from all the people on Les’ team, and concern for our total satisfaction was remarkable. Les kept us informed every step of the way to what was being done, how long it would take, and of any unforeseen issues that came up and how they would be handled. Thanks to Les’ vision and attention to detail, the final results exceeded our expectations. We love our new home and would not change a thing. The Letlow Company is the best of the best! 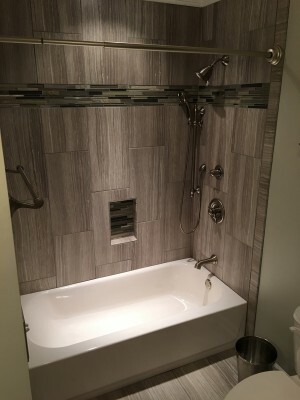 Les Letlow took our ideals for the bathroom remodel and developed a design that exceeded both mine and my wife’s vision. The project took longer than expected because of some unforeseen subcontractor issues, but once finished we couldn’t be happier with the results. I have worked with The Letlow Company on the complete renovation of a historic building, new construction, and general renovation projects. 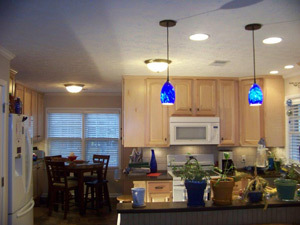 Mr. Letlow is creative and budget minded with great attention to detail. He is also a good listener and strives to complete his projects with excellence. I have also found his estimates to be thorough and accurate. I have found his site managers and staff to be very capable, eager to please, and respectful. I highly recommend The Letlow Company. We had a 3rd or 4th project completed by the Letlow Company. This last project was a custom bathroom for my wife. 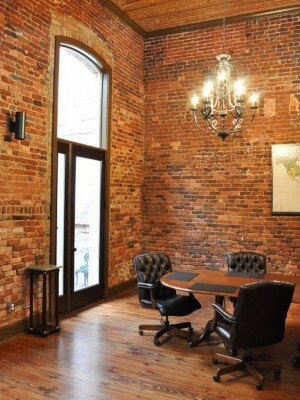 The quality of work exceeded our expectations and the project came in way under budget. His staff are friendly and skilled craftsman. It’s a big relief knowing that any project will be done right the first time and will be quality. The day I needed a contractor it was not difficult to decide, the first one that came to mind was the Letlow Company. Les was there within the hour upon my request, He help me understand the process of not only the contracting end of the business but also walked me through the insurance. The job went as very smooth, it being my first experience. Les was very responsive on my every request, had a plan and walked me through each step in the process. The end results was better than I expected. Les on some occasions he personally came over and rolled up his sleeves and jumped right in to get the job done! Working with Les Letlow and his crew on our renovation project has been a great experience. We needed to replace our deck. With his guidance and expertise, we no longer have a deck; we have an outdoor living space. Unlike so many other contractors, Les and his crew stay in touch and let us know when work will begin and then complete it in a timely manner. Les has been upfront about the project cost, and consequently, there have been no billing surprises. Les knows the building construction and design trade, and that knowledge is demonstrated in the quality of the work he and his crew perform. I would highly recommend Les for any home renovation projects. Remodel the exterior of a residential property: work was completed within budget and only slightly beyond the projected completion date. Letlow provided helpful advice with formulating the design plan for this renovation. Company workers and 3rd party vendors were respectful of the residents and turned over a clean work site. Les Letlow, with the Letlow Company, has completed several building projects for us over the past 28 years. He added a sunroom and remodeled the kitchen of our first home in 1986. Our expectations were met with great success and when we decided to build a new home in 1990, Les was obvious choice for our builder. He worked beautifully with our architect and was always attentive to our concerns and our ideas. 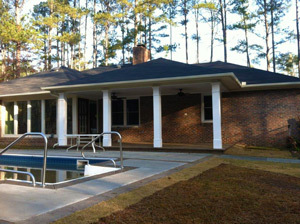 When we made an addition and remodel to that home a few years ago, again Les was our choice to complete the work. Les keeps currents with design trends, new innovations and materials, and is always a pleasure to work with. He has great vision for design, colors, and weaving the ideas and desires of the homeowner into a new home or a remodel project. Les expects superior workmanship from all of his employees as well as from the subcontractors who work with any project he undertakes. We recommend Les Letlow and the Letlow Company for any building or remodeling project a homeowner or business may be considering. Mr. Letlow rebuilt our house in 2012 after tornado damage. He was very professional in all respects from planning, framing, and the completion of finish work. He and his workers were on time and paid attention to details. His computer system was compatible with the insurance company’s, and he was instrumental in working with the insurance adjusters to achieve the goal of rebuilding our home. He kept us informed throughout the process and made suggestions which enhanced our home. Mr. Letlow will be my building contractor for any future remodeling or construction. Les Letlow came highly recommended to us as one of the best builders in the area in year 2000. Over the past 13 years he built our original house, remodeled my mother’s apartment and finished off our basement. He is a professional in every sense of the word. He stands behind what he does and corrects what needs to be corrected. I look at Les as not only a highly qualified builder and remodeler but a person with architectural abilities who can put on paper what one envisions. Over the years he has become a friend who I can call on whether it was a building problem which surfaced from years gone by or one who recommends other contractors I can depend upon when needed. The Letlow Company’s direct employees and subs were always courtious and on time which is not common in this industry (at least the on time portion). Les has a unique gift to be able to see design solutions and effectively communicate them to the homeowner. He is very thorough and documents things well. He was on time and on budget. 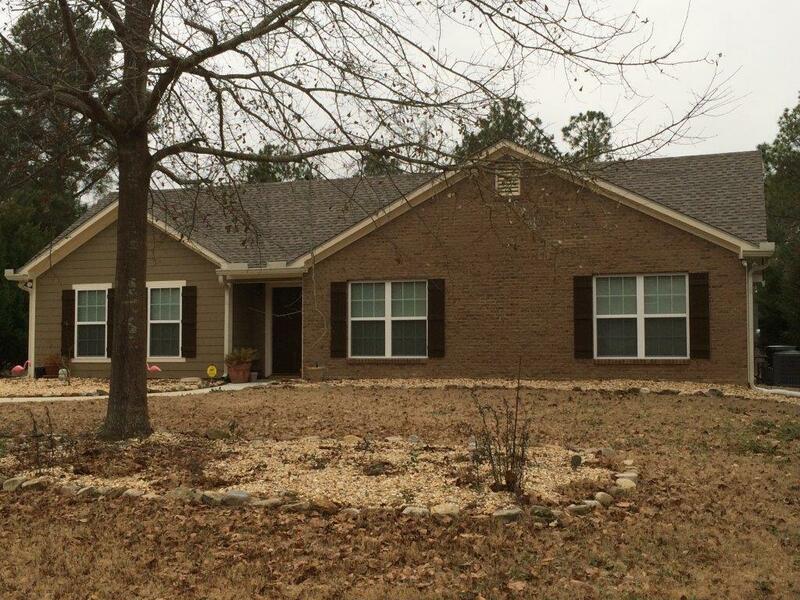 When we had discrepancies, Les was fair and willing to work with us to resolve the issues. I would highly recommend his services and would use him again if we had additional home improvement or new home construction needs. The new columns and railings look great! We had been planning to replace the columns and add handrails for quite a while but it took us forever to get to it. When I asked my daughter-in-law (who is a realtor) for a recommendation, with a moment’s hesitation she recommended you. We are so glad she did. Your promptness was the first good sign, and from the first drawings to the completion of the project everything went smoothly. One other thing that really impressed my husband and me was that you always returned phone calls and emails right away, and I don’t have to tell you how rare that is among contractors.